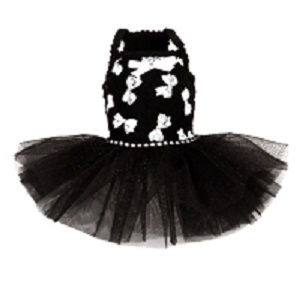 Perfect for parties this Puppy Angel White Ribbon Dress is a real show stopper. Designed with spaghetti straps the bodice is covered, as the name suggests, in little ribbons. There is a cute bow on the back and the waist is lined in small crystals. The skirts are made up of layers of mesh to really stand out. Available in sizes XS S SM M L XL. Choice of black, pink or white. 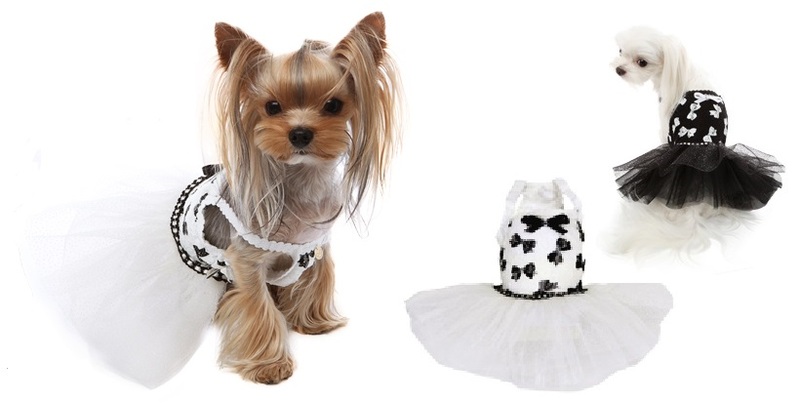 Imagine your darling pet in any of these luxury dresses!